The issue opens with a really messed up Batman being taken to the hospital in the back of a speeding ambulance and it's dark, gritty and looks freaking awesome!!! 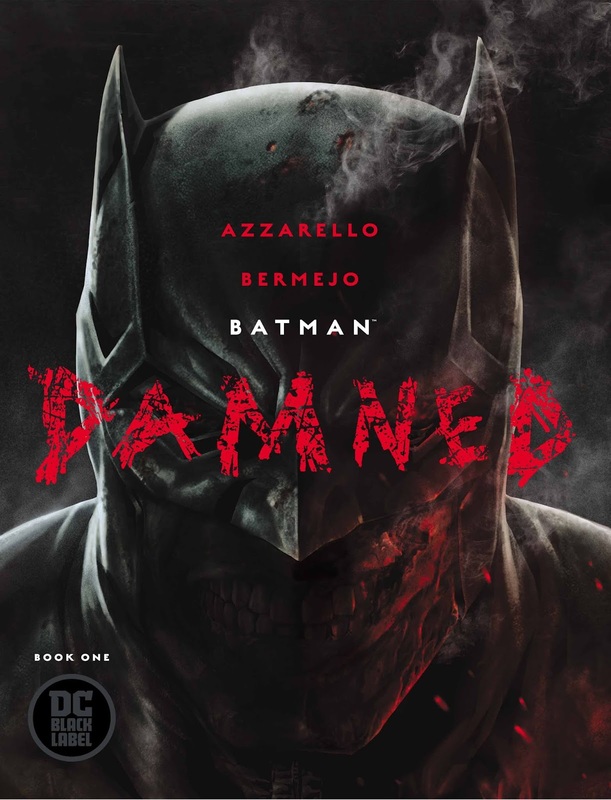 Yea, this dark story is told mostly through Brian Azzarello prose-like narration, but really, it's Lee Bermejo that does the heavy lifting. This is one of those books you can just page through and stare at. Batman busts out of the ambulance and calls Alfred as he runs through the streets and eventually runs into our narrator...John Constantine. I must admit, this was a very interesting surprise for me. Things then get scary spooky before Batman wakes up with Constantine, Deadman and a television. The scene ends with the three seeing the dead body of the Joker being fished out of the river and Batman disappearing as he does. At this point, you really realize that you are in Elseworlds territory as we see a different Bruce (or at least different everything else) as a kid. It just kind of happens throughout the issue and while it can be confusing at first, you do get used to it. As the issue continues, it is less about story and more about tone and atmosphere. Batman chases a raving lunatic, heads back to the Batcave, does a little detective work and possibly has a mental break from reality. That happens a couple more times as he starts his investigation of Joker's death with some pretty cool familiar faces along for the ride. 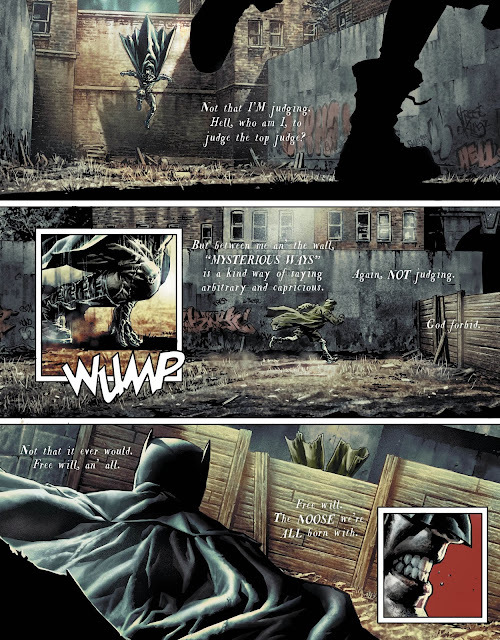 It all leads him back to Constantine, in a church with an interesting enough premise...is the Joker really dead? The answer may not even involve the mortal plane...we will need to wait to find out. This was a tough issue to describe and a tougher one to rate. 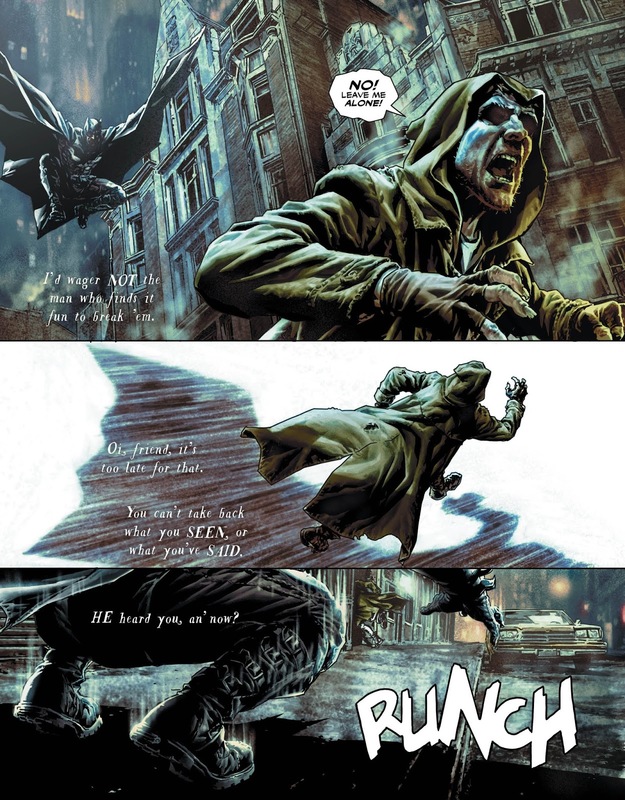 I loved the visuals and think Bermejo is the star of this book. The story is...well, I have no damn idea really. On one hand I think it is moody and cool, but on the other hand, I think it's confusing to seem deep and just boring. Maybe it's a little of both. The steep price tag makes this hard to recommend overall, but the art just might make it worth it. I will admit right here and now that if I was buying this off the shelf, I'd probably call it quits after this issue, though. 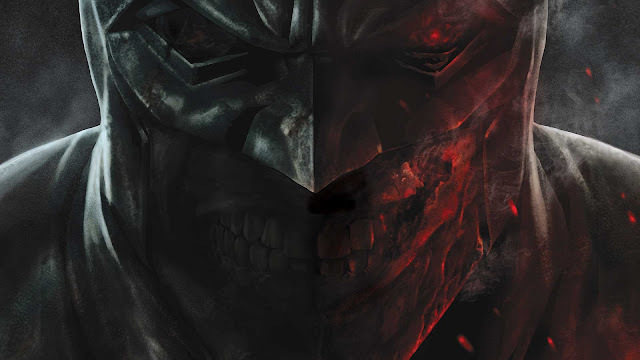 Lee Bermejo's art is great here, but there isn't much of a story (yet?) and what there is can be confusing and even boring. After the first fifty pages, we have a paper thin overall premise hiding behind some cool guest stars and again...that awesome art! This is an interesting start to the Black Label line, but not the slam dunk success I was hoping for. 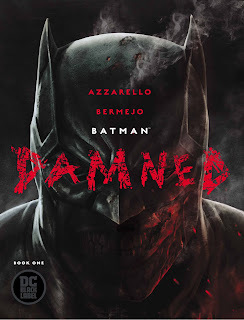 I don't normally trade wait, but I think on this one I'm gonna hold out for the inevitable hardcover because while I LOVE Bermejo's art, I'm NOT loving the vague story. Azzarello's a bit hit or miss like that. On a side note. . .do you think this will be listed as the first official comic appearance of Bruce Wang? Nah...there wasn't nearly enough wang to go around😂, but this issue definitely grabbed me by the way it looks. The detail is incredible, and that's besides the wang. Just look at the design on the Bat Suits. Story was okay but vaguer than I like for a first issue. But in art alone, this is a pick up.